In the current competitive environment, every minute counts. Businesses look to cloud capabilities to synchronize data between legacy systems. Companies investing in new communications infrastructure can add value to existing assets by leveraging Cloud SIP and not having to throw out a legacy phone system. This is especially the case when organization’s look to integrate legacy phone systems during an acquisition. Operations specialists suggest that cloud-based enterprise systems architecture fulfills communications strategies requiring continuous updates of core applications at an affordable price. Cloud SIP accomplishes this goal. Offering faster integration, more reliability, and shorter recovery time to operations. Web-based applications reduce the costs and challenges posed by internal legacy systems and applications. When companies plan an integration of a legacy phone system, they either choose to upgrade from the existing network based system to a cloud-based hosted VoIP provider, or leverage SIP. 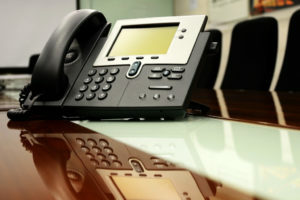 With Cloud SIP, legacy phone systems can be easily connected to another existing legacy phone system or a hosted VoIP solution. Existing communications systems can be integrated to cloud SIP without the hassle of extensive manual coding. Cloud software as a service (SaaS) enable the use of a single tool application for connecting legacy applications to the service provider instantaneously. From point of installation to record reporting, cloud SIP share data and processes with across applications. Cloud SIP offers universal communications systems support for more environments and platforms. Seamless integration of legacy phone systems adapts a range of communications technologies and applications such as databases, FTP, and message ques. Cloud SIP platforms allow legacy systems to connect without delay. Once a client account is created, a company’s communications network can be integrated automatically. Continuous monitoring and updates of a client network is established immediately between the legacy applications and cloud provider. Companies using Cloud SIP to minimize significant risk. When an internal legacy phone system experiences failure, cloud support ensures zero recovery time to operations. Cloud SIP innovation also identifies mobile architecture that may be integrated into an organization’s network; allowing users to access communications from anywhere, anytime, risk-free. Business communications processes are uninterrupted on the cloud. Secured for hosting proprietary business processes, Cloud SIP is the total control in communications operations. Best practices in legacy phone systems connectivity to cloud-based infrastructure promotes ongoing knowledge sharing and better management of proprietary communications records. New consumer rules further continuity in information about Cloud SIP, as interactivity progresses. When switching a legacy phone system to cloud based operations, a record of both internal and mobile phone activity is retained. So before you decide to throw out that old legacy phone system, consider leveraging a SIP Trunking service to extend the life of your investment.